An early morning near St. Genevieve, Missouri. A sunrise or sunset can produce a wide variety of light from very bright to very dark. 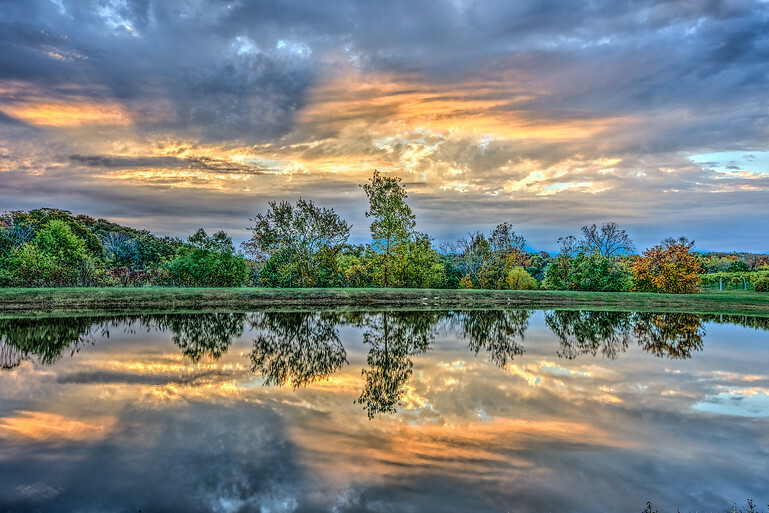 HDR photography can help record all levels of light and produce beautiful photos. This is a combination of three photos taken at different exposures and processed in Lightroom and Photomatix. A wide 14mm lens helped capture the whole scene at an ISO of 100, 1/3rd of a second shutter speed at f13.